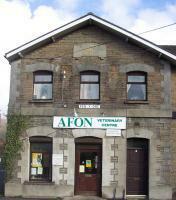 Welcome to the Afon Veterinary Centre. 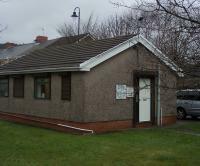 We have our main surgery at Pen Y Dre, Neath and we also have branches in Pontardawe, Maesteg and Cwmavon. We know how much you care for your pet and we do too. It is our goal is provide you and your pet with the best possible service, both in preventative healthcare and when your pet is unwell. We provide our own out of hours cover so your pet can be seen 24 hours a day 365 days a year in case of an emergency. We are continually looking to offer our clients the best deals on a range of services so please see our special offers page for the latest news on these. We currently have some great offers on puppy and kitten vaccinations. OUR WEBSITE provides a comprehensive range of general pet care fact files and useful links that you can access whenever you need to. General Enquiries: please contact the Neath surgery on 01639 642739. OUT OF HOURS SERVICE: As a practice we provide round the clock cover for your animal. We are proud to be one of the few remaining practices to offer our clients our own emergency out of hours service, giving you and your pet the continuity of service you deserve. In an emergency you will be seen by one of our vets at the Neath surgery. Our emergency phone line is operated by our own veterinary team to ensure you get the best possible advice as quickly as possible. Please phone your usual surgery number and your call will be diverted to our emergency receptionist. Please only phone out of normal hours if you have a genuine emergency and be ready to give the receptionist your name, address, phone number and details of your animal.